Quality of education is often a deciding factor for many incoming freshmen (or at least their parents) when choosing which college or university to attend. Certainly, the quality of education should match or exceed the tuition costs wherever you attend; however, there is another factor you should consider when looking at prospective campuses: the town. Many colleges and universities pride themselves in not only their stellar undergraduate and graduate programs, but also in the town where they are located. Many college towns offer a unique culture and atmosphere with a long history of hosting college students. From local restaurants to pubs to clubs, each college town offers something different; at least the best ones do. Home to the University of Michigan, Ann Arbor has a rich college history dating back to the 1800s. The university boosts the city’s economy with roughly 30,000 jobs; the town’s economy is also helped by several technology-based companies. If you follow college football, then you know that fall is a big time of year for Michigan fans, and Ann Arbor really bursts to life as a result. However, football season isn’t the only offering for college students: local cuisine, bars, museums, parks, bike trails, and an exciting culture are easily found. Ann Arbor frequently attracts new college students from all over the country. Athens, GA, has a strong cultural community with the arts, including a thriving music scene. In fact, Athens is also known as “Live Music Central” and is home to music groups such as R.E.M., Danger Mouse, and Widespread Panic. The University of Georgia is the biggest employer in town, but there are also big employers in the healthcare and industrial fields. The town is a southern beauty and is a gathering place for musicians and music lovers. When one thinks of a traditional college town, no doubt Berkeley is what often comes to mind. Berkeley is known for having strong political activism, particularly in the 60s, and students of University of California – Berkeley played a big part in the Civil Rights movement. Today, Berkeley still attracts progressive thinkers as well as those looking to enjoy the laid back culture of the Bay Area. San Francisco is just a short drive away across the Bay Bridge, but Berkeley also provides a fun college culture for its residents and students. Music and the arts are big in Berkeley and the town attracts many tech-savvy students and professionals being so close to Silicon Valley. The moderate climate is also a big draw for prospective students. Looking to experience the classic college town vibe in the middle of a gorgeous mountain landscape? Welcome to Boulder, Colorado, home to the University of Colorado and Naropa University. Boulder is known as one of the most liberal towns in the west and was a gathering place for many hippies in the 1960s. It’s not hard to see why. The town is walkable, but also boasts an impressive transit system and many bike paths. Nature is the big selling point here; most buildings are relatively low in height so as to not block the views of the surrounding mountains. There are many restaurants and local shops, and Boulder is also home to the Colorado Shakespeare Festival. Ever heard of Harvard University or MIT (Massachusetts Institute of Technology)? Well, Cambridge, MA, is home to these brainiacs. Not only are students here some of the smartest and brightest in the country, they also take advantage of the city’s exciting culture and arts. Employment in Cambridge mainly comes from Harvard and MIT, but Google, IBM, and Microsoft also have offices and research centers here. 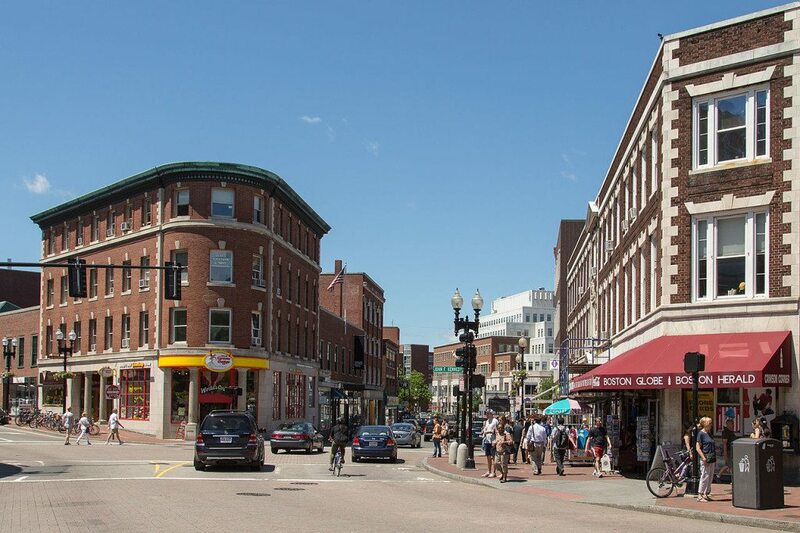 The combination of education and employment in Cambridge, as well as its small, college town culture, make it a great place to live for both students and other residents. Located on an actual hill, Chapel Hill is home to the North Carolina Tar Heels, so be prepared to get caught up in the fever during basketball season, specifically March Madness. The state of North Carolina offers exquisite beauty to its residents, and Chapel Hill is no exception with its Georgian architecture and gorgeous surroundings. The town also offers plenty of music, food festivals, and arts. For those seeking employment, there are numerous parks around for outdoor and recreation lovers, but there are also many job opportunities in the sciences, healthcare, and technology fields. 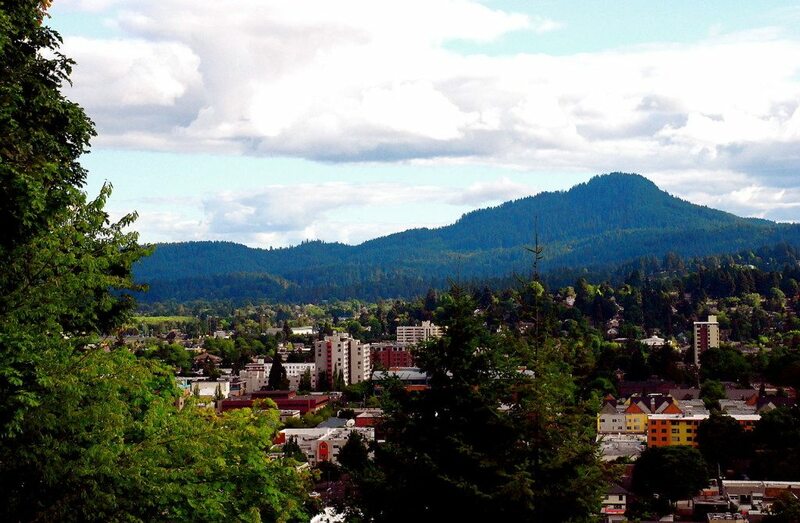 Another college town known for its political activism as well as alternative lifestyles, Eugene, OR, also offers plenty of green within and surrounding the city. The University of Oregon provides many jobs for residents, as does the school district among other large employers. Residents here love the outdoors which makes Eugene a nature sanctuary. Eugene is also known for its wine; you can even find bike trails taking you through wine country. There is a long history of track and field at the university as well, and if you’re into classical music, then be sure to check out the annual Oregon Bach Festival. Iowa City is not only the location for the University of Iowa campus, but it also is home to a National Historic Landmark, the Old Capitol building. Iowa City is also the only city in the United States awarded as the City of Literature by UNESCO in 2008. Obviously, there is a strong literary scene thriving in Iowa City with book festivals and the Literary Walk. Iowa City also offers great dining options and a vibrant nightlife, which makes sense given that the University of Iowa is known as one of America’s top party schools. When people think of New York, they usually picture bustling Manhattan with Times Square, the Yankees, and the Empire State Building. But if you drive just a bit north of the city, then you’ll enter beautiful forests and smaller towns. Ithaca is one of these New York gems that is naturally beautiful and home to both Cornell University and Ithaca College. More than 100 waterfalls and gorges are found in the areas surrounding Ithaca, and just wait until you experience a New York fall season here. The colors and temperatures will make you feel like you’ve stepped into a small paradise. Nearly half of the population consists of students during the school year, which makes for a fun, lively college town vibe with a strong music scene. Located in the mountains of northern Utah, Logan offers great outdoors along with its small town vibe. Utah State University calls Logan home, and offers a beautiful campus and many employment opportunities. The town and university are known for their agricultural roots as well as space grants; you can even learn more about the stars above at the Space Dynamics Laboratory. The mountain ranges offer plenty of outdoor escapism, and Logan is just half-day drive away from Yellowstone National Park. The Utah Festival Opera is also found in Logan among other cultural offerings. University of Mississippi, also known as Ole Miss, is proud to call Oxford home. Oxford provides an abundance in history, being the home of famed American author William Faulkner. Popular fiction author John Grisham also has a home here. 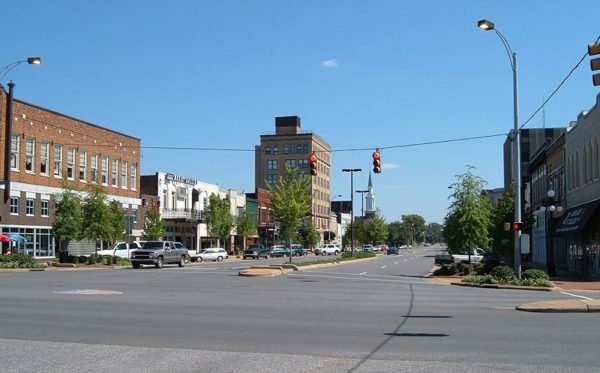 In addition, Oxford has a rich history with the Civil War and the Civil Rights movement. History is not the only appeal to Oxford; there is a unique music scene in the city, especially being so close to Nashville, Memphis, and New Orleans. There’s plenty to do and see in this southern gem. Syracuse is not only home to Syracuse University, but also to many other small colleges and professional schools. Though it doesn’t quite offer the same small town feel that Ithaca does, it is known as the educational hub for central New York. Syracuse also has more amenities and activities since it is a larger city. There is an exciting nightlife in the city as well as theaters, operas, restaurants, museums, and more. Housing is affordable in friendly neighborhoods, and students and residents can expect an abundance of snowfall come winter. With the University of Alabama fueling its economy and cultural offerings, Tuscaloosa is another beautiful southern treat. There is a lot of passion dedicated to the Crimson Tide and their stellar football program led by head coach Nick Saban. To uphold the strong sports tradition of the city and the state, Tuscaloosa is also the proud home to one of the best sports bars in the country, the Houndstooth Sports Bar. Even if you’re not a football fan, it’s hard not to get swept up in the passion and pride that residents and students have for their school. These towns listed above are just a small sampling of the many great college towns across America. The list could go on and on, but we’d be surprised if at least one of these mentioned didn’t speak to you.